U.S. 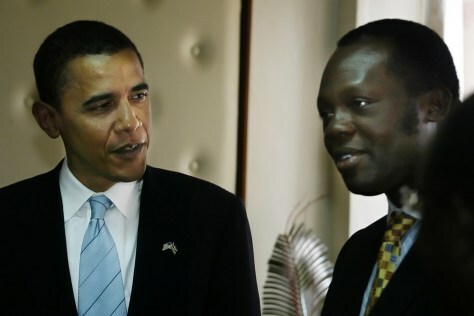 Senator Barack Obama, left, is received by Kenyan Minister of Foreign Affairs Raphael Tuju on Friday during a courtesy visit at the Minister's office. Obama, whose late father was born in Kenya, and who is the only African-American in the U.S. Senate, has received something of a hero's welcome on his first visit to this country since he was sworn into office in 2005.